Anyone who has eaten their feelings after a bad day at work is well aware that stress can play a big role in what we eat, but one study reveals a cluttered environment can have a majorly negative impact on our diet as well. A study recently conducted at the Cornell Food and Brand Lab, and later published in Environment and Behavior, revealed that living in a chaotic or cluttered environment stresses us out, and this stress leads to eating more fattening snacks. The study suggests that as we lose control of our environments, we lose control of our diets. 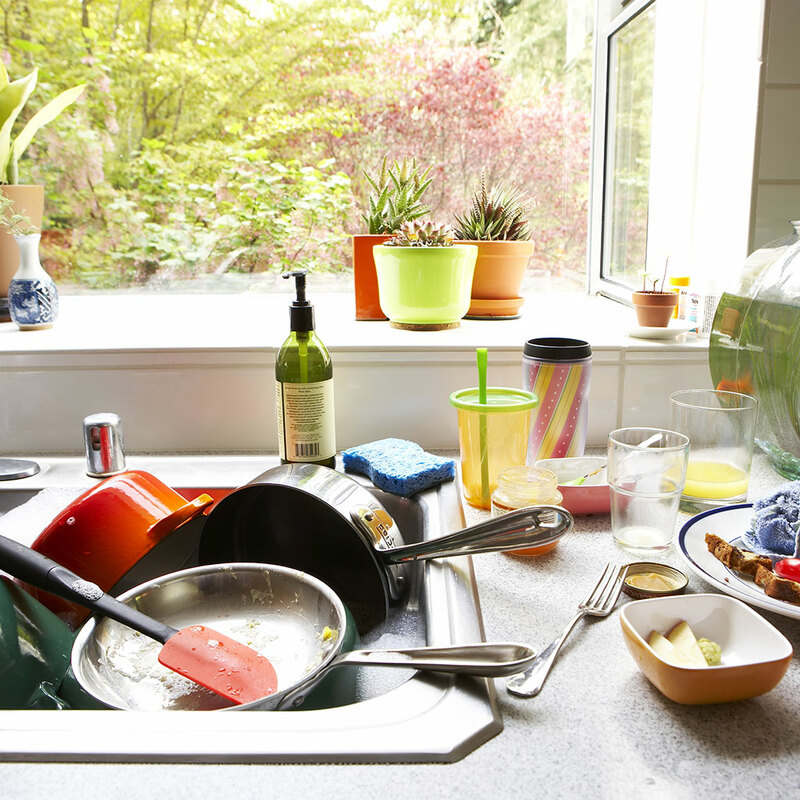 As part of the study, “stressed out females” were asked to wait for someone in a cluttered kitchen. Half of the 98 women included in the study waited in a messy kitchen; the other half waited in an organized kitchen. The women who were in the chaotic or messy kitchen ate twice as many cookies as those who were left in an organized, cleaner kitchen. Ultimately, these women ate 53 more calories in a ten-minute period. “Being in a chaotic environment and feeling out of control is bad for diets. It seems to lead people to think, ‘Everything else is out of control, so why shouldn’t I be?’” says lead author Lenny Vartanian, Ph.D., now associate professor of Psychology at the University of New South Wales in Australia, in a release about the study. “I suspect the same would hold with males,” he adds. As more and more of us eat lunch daily while working at messy desks, we can only imagine what that chaotic environment is doing to our diets.